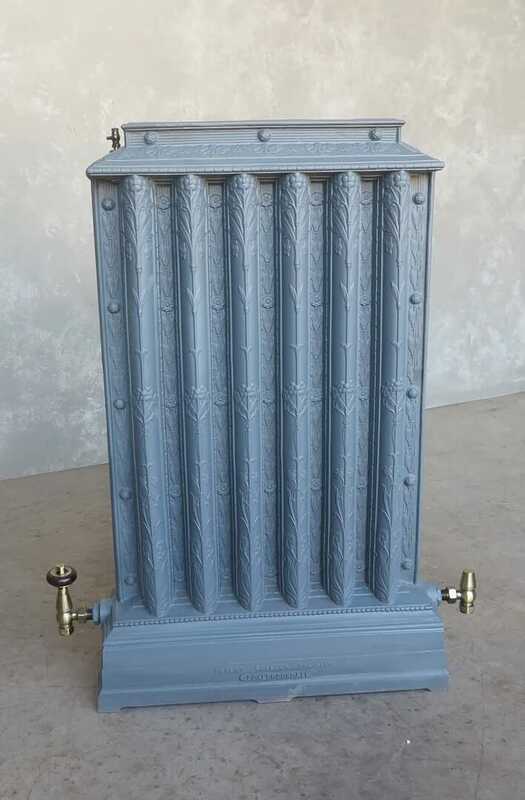 We will never get such a good set of Cast Iron Radiators again - and they are Coalbrookdale. 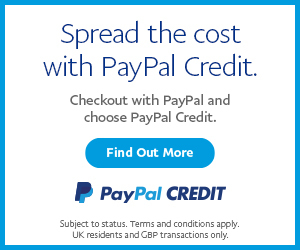 They have been pressure tested to 1.5 Bar - which means they are suitable for use on a gravity heating system in a building up to 3 storeys high. 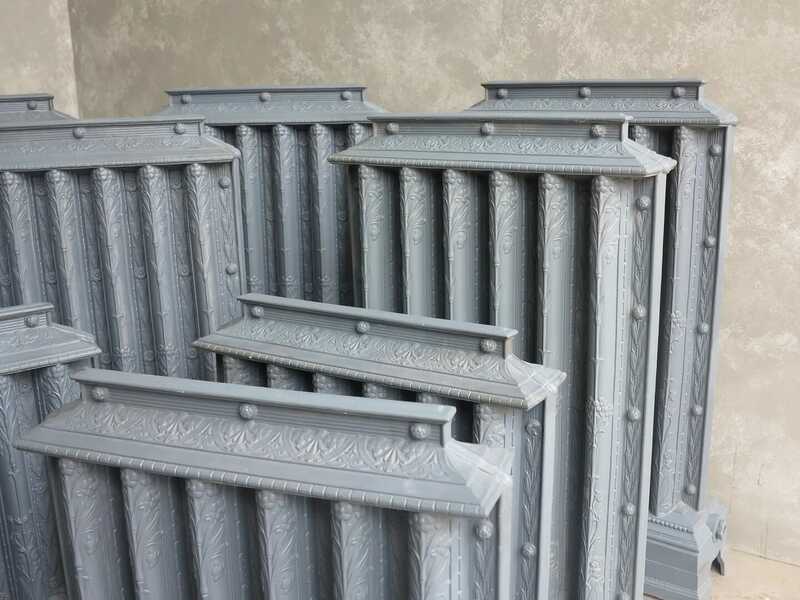 We have stripped all the old layer of paint then primed, then undercoated ready for us to finish in two top coats of paint in your choice of colour. 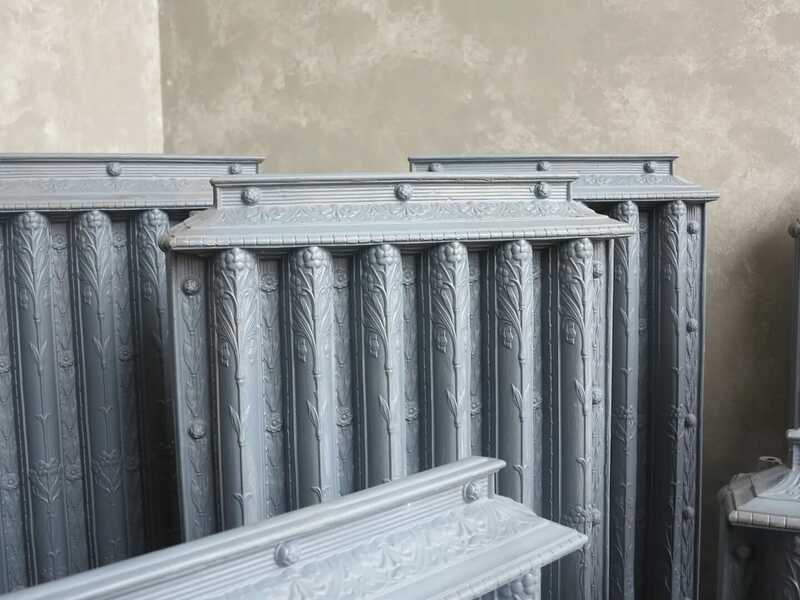 We have many different set of valves including Brass and Chrome that will fit these Radiators - See images below. 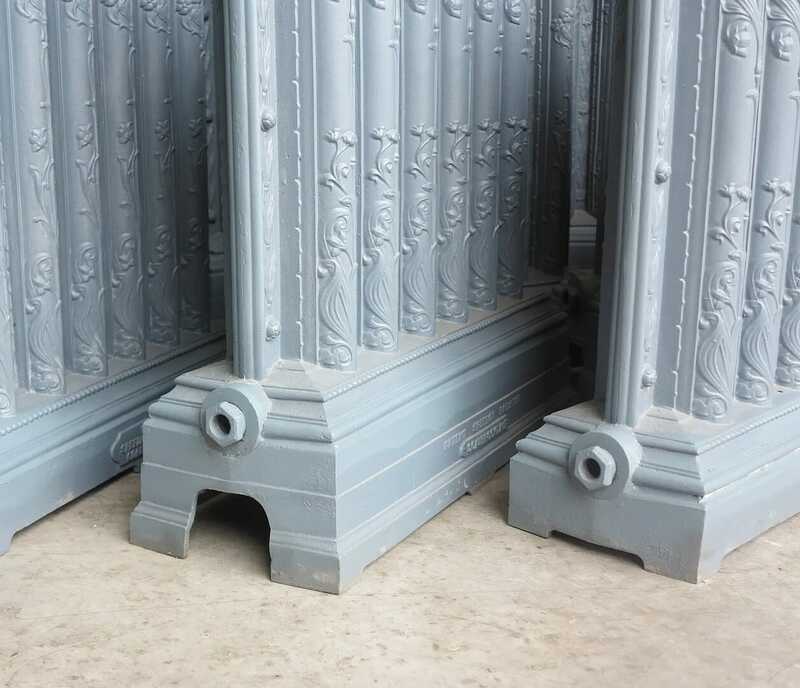 The Coalbrookdale Cast Iron Radiators are Ornate on BOTH sides. These were taken out of a 3 storey building by UKAA. All the Radiators are marked COALBROOKDALE. 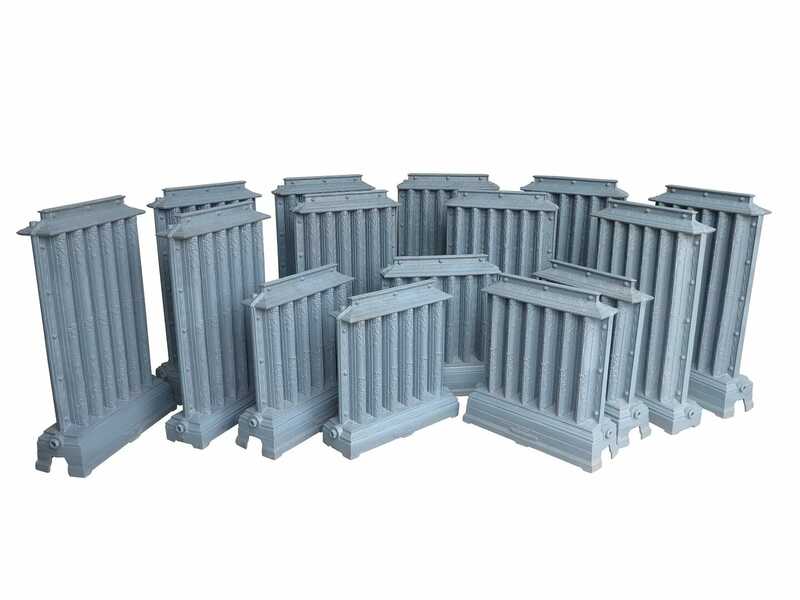 We have 6 at 1000mm Tall x 660mm Long x 220mm Deep. 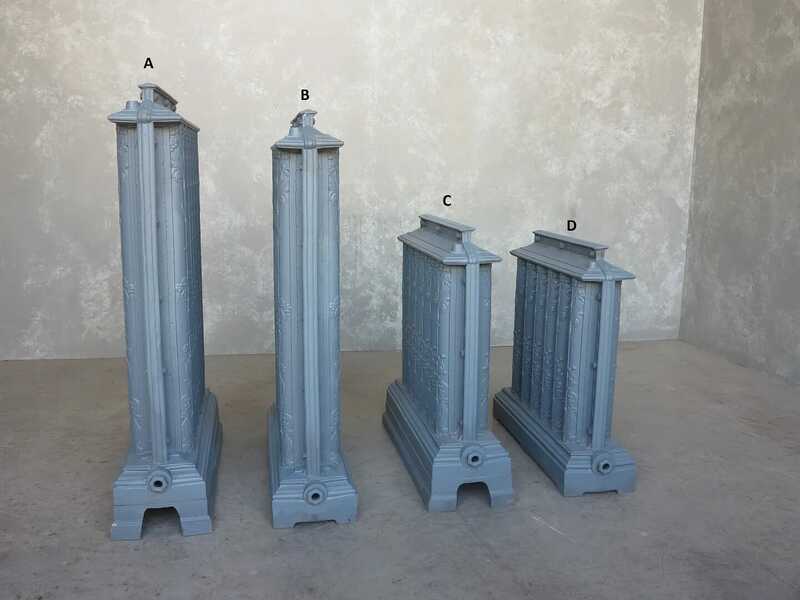 We have 4 at 950mm Tall x 660mm Long x 200mm Deep. 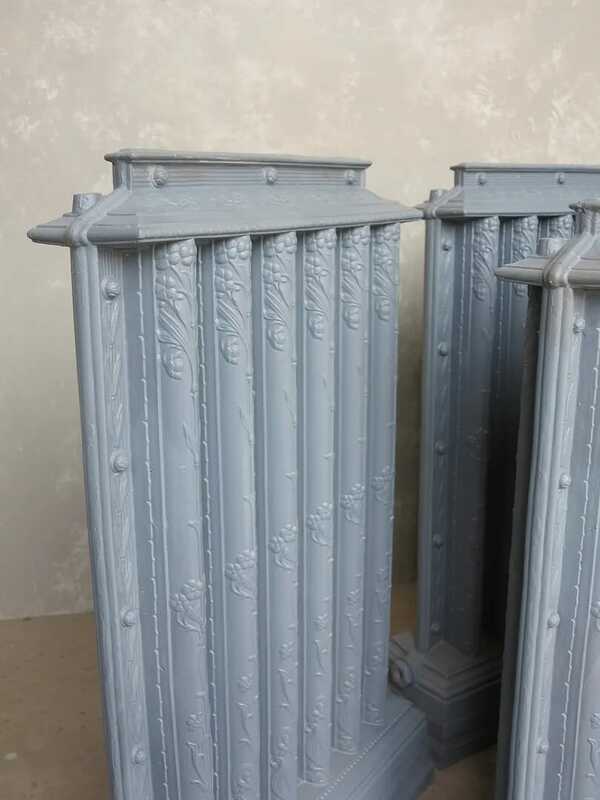 We have 4 at 690mm Tall x 660mm Long x 220mm Deep. 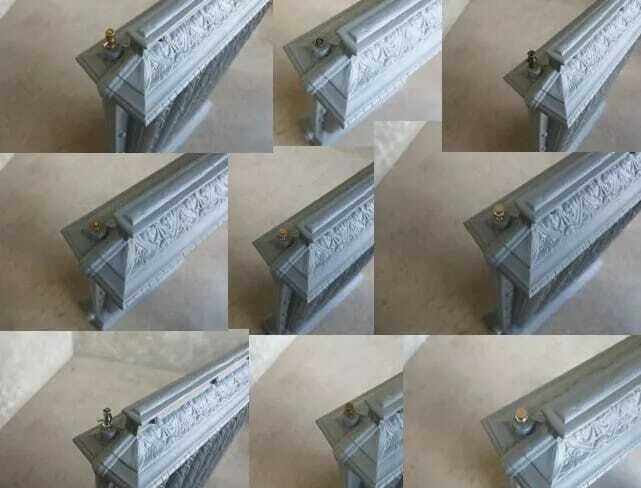 We have 1 at 640mm Tall x 660mm Long x 200mm Deep. Reclaimed from a 3 storey Staffordshire Public Building. 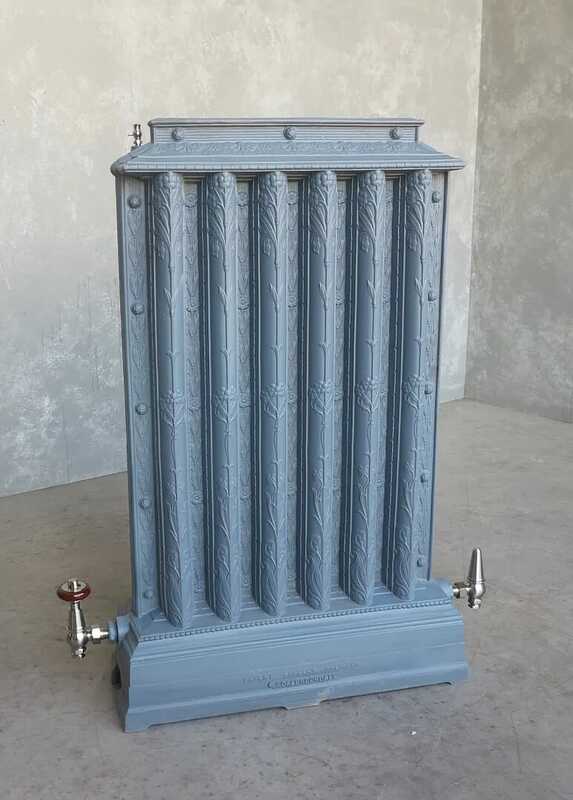 The price is for any 1 of the Cast Iron Radiators in your choice of colour.